After “Harry Potter and the Deathly Hallows Pt. 2” premiered in 2011, it was hard to imagine a world where we couldn’t look forward to a new “Harry Potter” movie. Thankfully, J.K. Rowling seems to have missed the saga as much as we did. Just five years after the immensely popular series ended, Rowling invites us back into the wizarding world to embark on new adventures that precede the “Harry Potter” series and take place on our side of the pond. More than sixty years before Harry Potter receives his Hogwarts letter, New York City is under attack from a mysterious supernatural force and wizards are in danger of being exposed. At the same time, Newt Scamander (Eddie Redmayne) arrives in the city with a suitcase full of magical creatures, having just traveled around the world to document them for his book. After a run-in with a Jacob Kowalski, a No-Maj (American for “Muggle”) played by Dan Fogler, several beasts escape the suitcase. 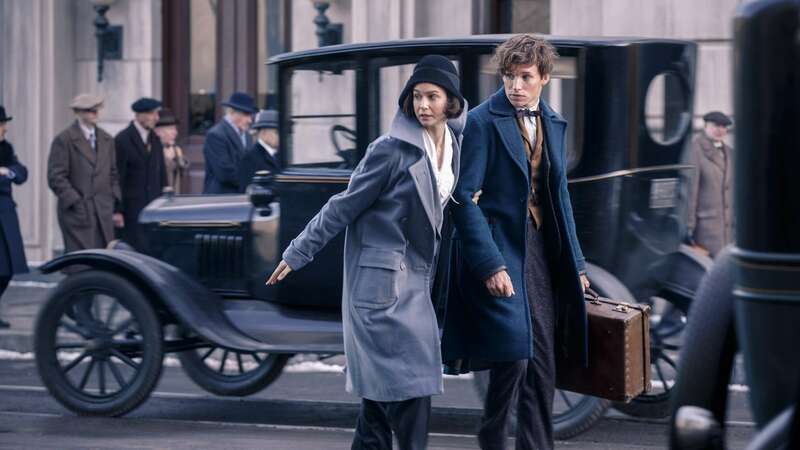 The ensuing chase forces Newt to team up with Jacob and former auror Tina Goldstein (Katherine Waterston) as they attempt to retrieve the beasts before No-Majs find out about them. David Yates, director of the latter half of the “Harry Potter” movies, brings a similar atmosphere of awe and wonder to “Fantastic Beasts,” especially when displaying the scope of the magical creatures’ abilities. Consequently, the tone of “Fantastic Beasts” is more whimsical and lighthearted than the other “Harry Potter” movies. Although it has somber moments, the film isn’t as gritty and threatening as its predecessors were. Then again, “Fantastic Beasts” is supposed to establish its own distinct tone since it’s technically not “Harry Potter.” Yates strikes the right balance between incorporating familiar elements from the pre-established wizarding world — a magical government, the risk of exposure, an ominous threat — and introducing new components that set the stage for entirely different adventures. What makes “Fantastic Beasts” a successful prequel is that the new elements, most notably the characters, are properly introduced without relying on the audience’s previous knowledge of the wizarding world. As the forerunner of this era of magic, Redmayne stands out with the charisma, strength and vulnerability of a complex leading character worthy of being the face of the franchise. One letdown in an otherwise brilliant cast is Ezra Miller, whose overly melodramatic performance would have been passable had his character not been an integral part of the plot. The antagonist in the film is also rather underwhelming due to predictability, but there is a surprise cameo at the very end of the movie that sets up the main villain for the upcoming films. It’s still early to judge that character, but it’s reassuring that the next four “Fantastic Beasts” sequels will hopefully have a more compelling antagonist than the one in this movie. “Fantastic Beasts” probably won’t reach the same level of global success that “Harry Potter” did, and that’s okay. As a reintroduction to the wizarding world and the foundation for new adventures and characters, “Fantastic Beasts” is a wonderful addition to Harry Potter lore that is sure to please Muggles and No-Majs everywhere.